It would be presumptuous to try to understand and explain the world through the view offered by a single camera. And to come a step closer is in itself a life’s work. 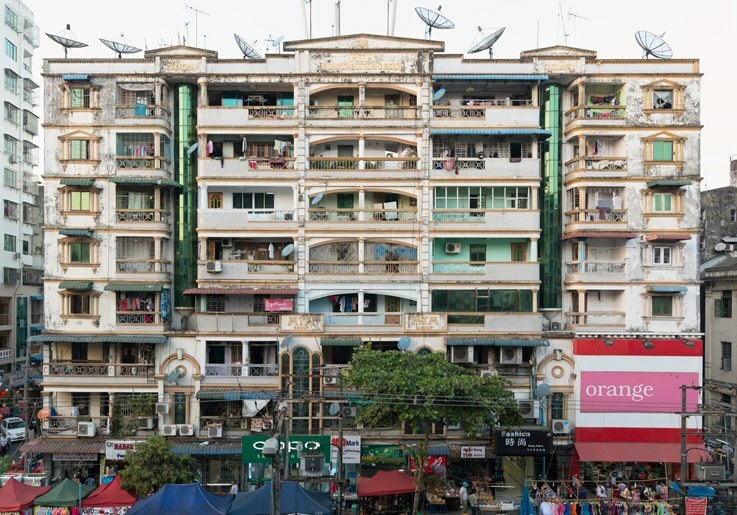 Wolfgang Bellwinkel, with his interest in Asian cities, dares take this cautious step closer. In his large format photographs, he captures the veil beneath which the everyday of daily life plays out. 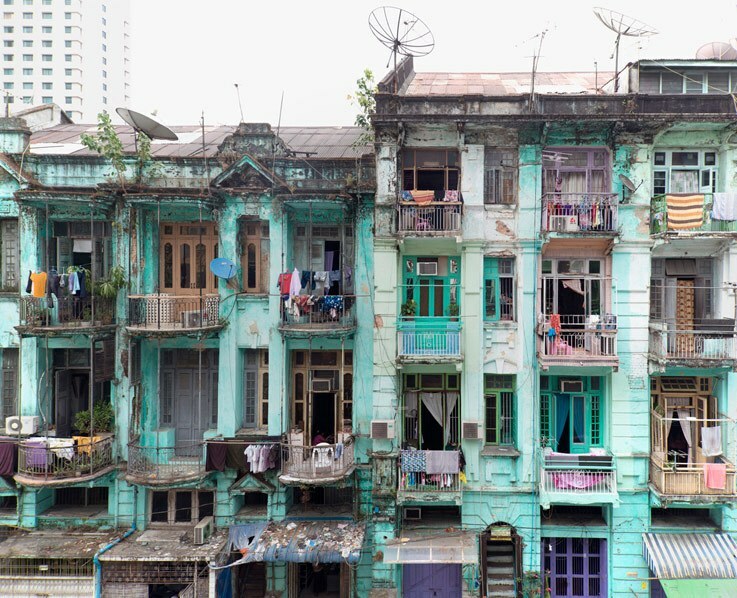 Initially only the surfaces of the pulsating metropolis that is Yangon are glimpsed. A second look reveals much more: the always similar and yet varying patterns of that life. 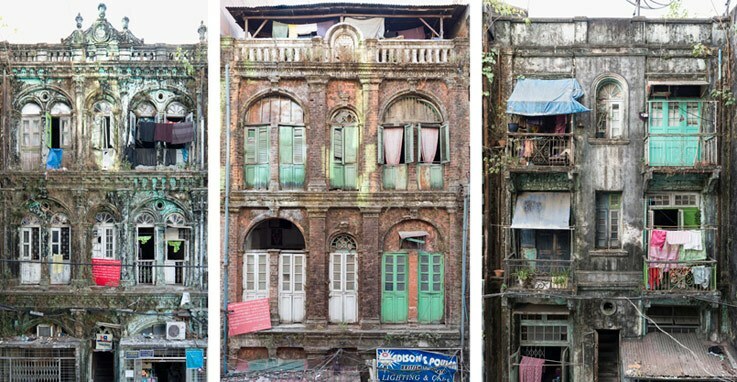 The wounds that time has left on those surfaces and the people whose fates are inextricably connected with that outermost veil of the city. 1. Different parts of Yangon society will never match. Ingalik or English, Kala or Indian, Tayok or Chinese: in the eyes of its Burmese residents these attributes define Yangon. It is a melting pot of the country’s various ethnic groups who are in conflict with one another outside the city. Mistrust is in the air, be it between those of Indian origin and the native Burmese, between Muslims and Buddhists, or through a renunciation of all those from elsewhere. Yangon was not truly Burmese at any point during its hundred-year history right into the years following Independence. It was a product of the British and Indian incomers who took it in hand – often opposing the original inhabitants. 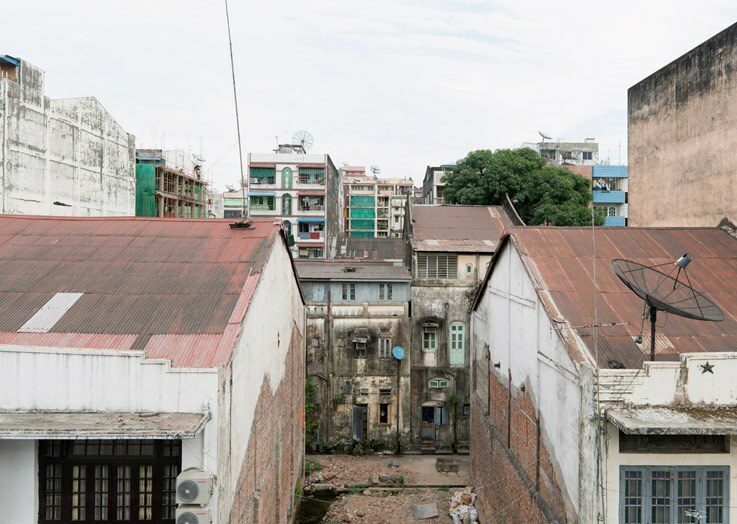 Within a society that lived and worked in the countryside, with constantly changing royal cities that never achieved the status of a metropolis, Yangon must feel like a stranger in its own country. Quite simply Yangon has no tradition, no place in the minds of its current denizens. 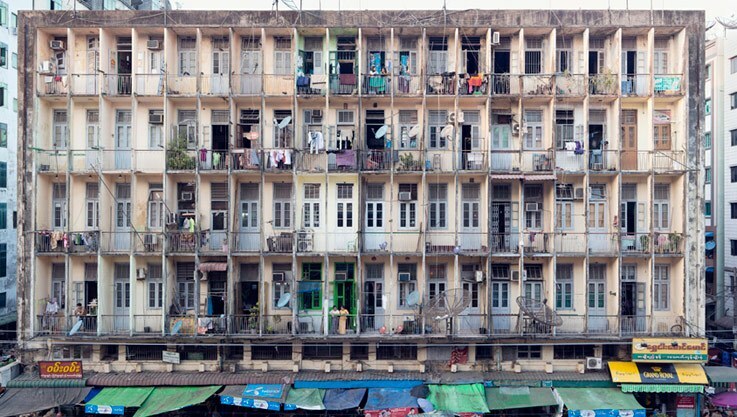 Yangon is used, used up even, without being preserved or appreciated as an environment for living. The British colonial rulers put up great gullies of buildings and prestigious, white-washed outposts of their Western influence. Myanmar does not identify in any way with this memorial to European megalomania. Instead the people are claiming back their city. Contempt for the colonial inheritance, as far as the architecture is concerned, progresses at an unstoppable pace, with apparently random new elements added onto and placed in front of and within the original substance. A vibrant confusion is emerging, one which casts any precept of a unified style to the wind. 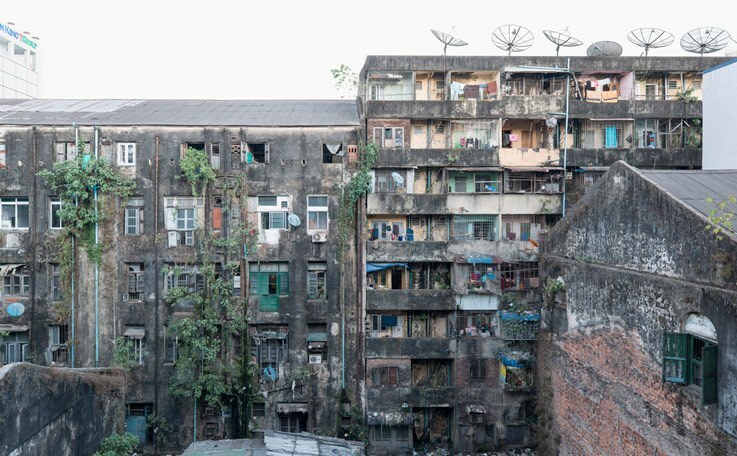 Bellwinkel’s photography does not stage the plight of the dying behemoth of Yangon, nor does it attempt to find beauty in the dirt and the noise of the streets. What makes Yangon the place it is at this moment is all that is seen, that and how it is changing. Nor is he judgemental about the people caring little about the cosmos they inhabit. It was almost de rigueur within the Burmese royal dynasties for a new ruler to build a new royal city. The gaze was always directed to the fore, to the future. And so it remains today. The old is abandoned and sinks into obscurity while the new takes shape. A new capital city is created from scratch, while the old metropolis crumbles under its own weight. This obsession with the new is tangible in Bellwinkel’s photographs. Cowered figures scurry round the corners and edges of Bellwinkel’s portrait of the city. The memory of a lengthy oppression is perceptible everywhere. Eyes are cast downwards, so as not to attract attention nor raise suspicion. Motorbikes are not part of the ubiquitous noisiness since being banned in the city by the junta after an attack. Scarcely anything stands out from the pale monotone of the pictures, everything seems pragmatic, aligned and disciplined. Even the architecture. Those walking through the streets of Yangon in 2016 could not help but be aware that they were participating in something special, something that could so easily be lost. 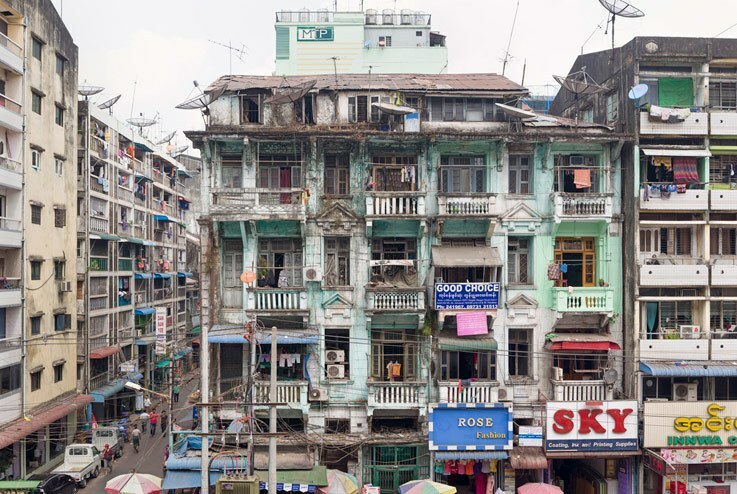 Yangon with its colonial buildings crumbling with a melancholic air exudes a down-to-earth naturalness that would seem out of place in any other mega city in Southeast Asia. Here, too, there is a sense of departure, but with no foreseeable direction of travel. 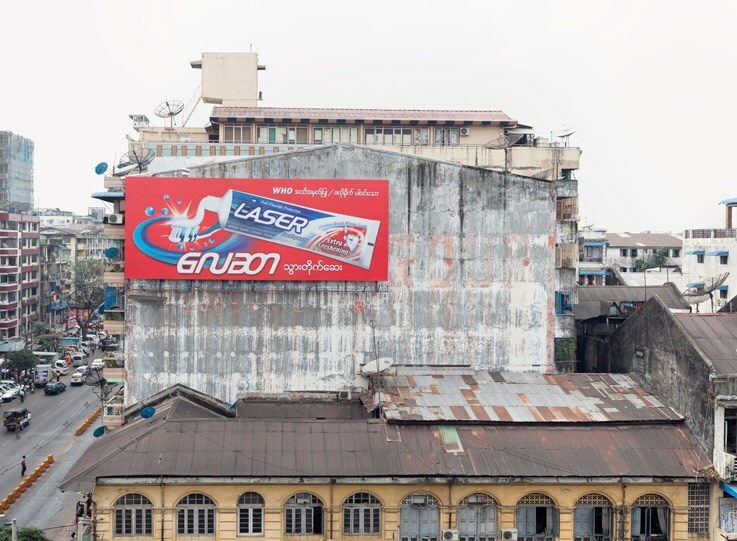 Already the inevitable illuminated advertisements of international companies jostle in front of colonial façades. Entire streets of houses are disappearing behind glass and concrete or are overshadowed by oversized building projects. Seldom was the advance of globalisation as visible as it is here. 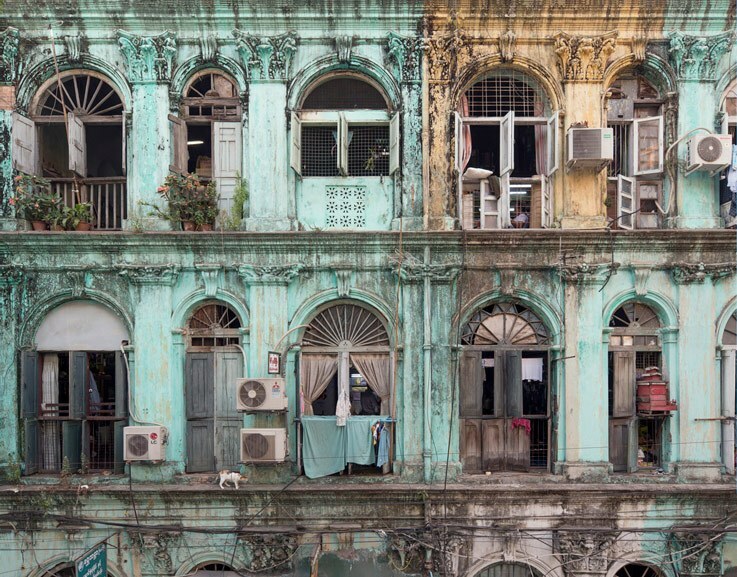 In 2017 the German historian Heinz Schütte dedicated his book “Yangon, ein historischer Versuch” [“Yangon, a historical experiment”] to the emergence and the current fall of the metropolis. 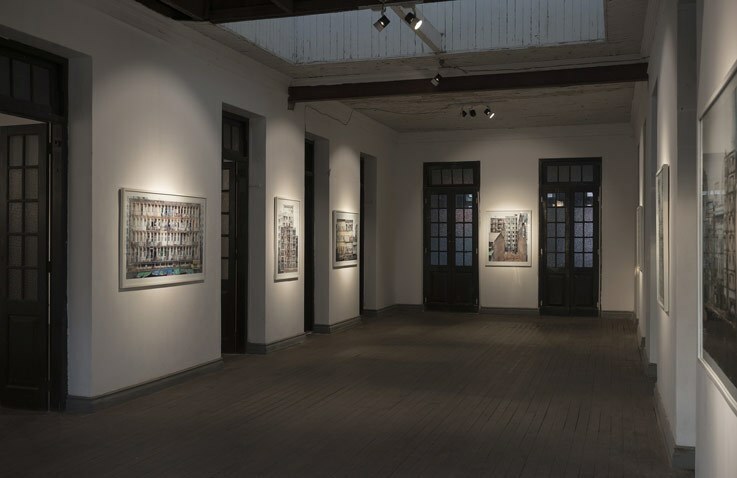 The six theses follow Schütte’s findings of the past and presence of Yangon. 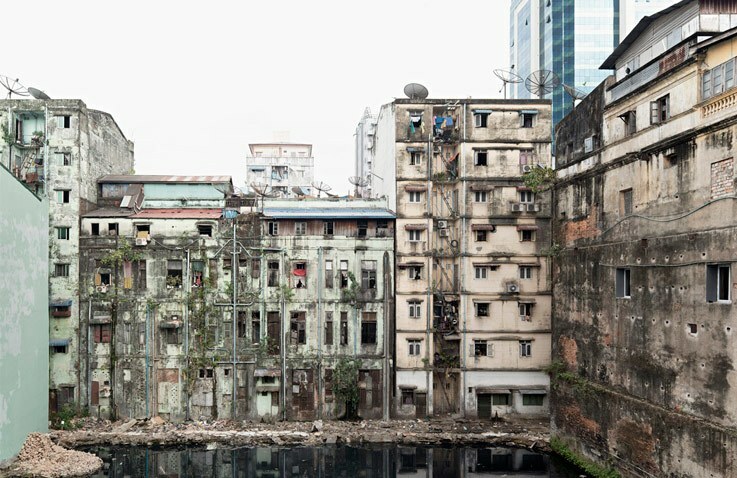 Wolfgang Bellwinkel’s photographs from the series “Yangon Backstage” are, since the exhibition in the Goethe-Villa in 2016 and now in Heinz Schütte’s newest book, inseparably intertwined.